Over the last five decades, dramatic progress in laser technology has yielded new indications for lasers in dermatology. Today, lasers are the central treatment modality to handle many skin diseases. It is remarkable what lasers can do to dermatology patients. Basics of laser science have always been a complicated subject to read and digest. Physics of lasers are a mandatory learning essential, without which inappropriate practice has the potential to take place; with this in mind, most laser practitioners lack such fundamental knowledge. There are countless clinical applications of lasers which need to be simplified and appropriately guided. Many textbooks present comprehensive knowledge of lasers. Unlike others, this manual will allow the reader to enjoy the simplified principles of laser physics like never before. 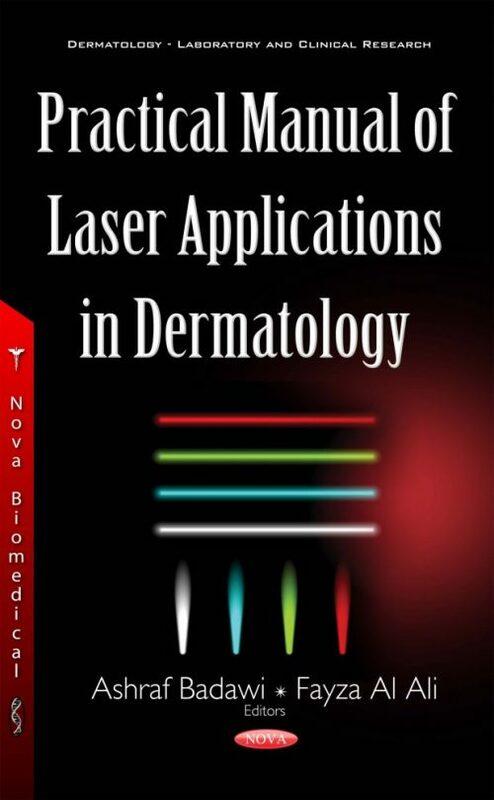 After elucidating the needed concepts, this book indulges the reader into the “reality practice” of lasers that truly matters in the field of dermatology. It explains important tips and provides them as pearls for daily performance. Indeed, this manuscript is a state-of-the art review of lasers in the treatment of skin diseases. Moreover, the chapters are enriched with numerous tricks to ensure optimal clinical outcome and higher safety, while also considering various skin types. Audience: ·	Deramtology residents, Dermatologists, Laser Therapist, GPs, Plastic surgeon. ·	Laser companies might find it a good source of information for customers who would like to understand about lasers before or after they buy laser equipments.